There are a lot of terms used in the car industry that can be confusing. Whether it's a new piece of car safety or entertainment technology, or how a car works, our experts are here to explain it all. Fancy changing the look of your car, but don’t want a full paint respray? Car wrapping is a great way to refresh your car’s appearance. A tyre speed rating shows the maximum speed a tyre is legally approved for. Learn where to find it, how to test it and more in Auto Trader’s comprehensive guide. 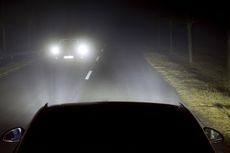 Many modern cars come with xenon or LED lights, and, in some cases, both. But what are they and how do car headlights work? 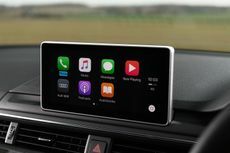 If you’re looking to buy your next car, you might want to know if it has Apple CarPlay connectivity available. Many cars across all budgets now come with Apple CarPlay. Whether you've already had several company cars, or are looking to get your first one, we answer all the questions you might have, including what a company car is, and how you can minimise your company car tax bill. Category S (Cat S) and Category N (Cat N) are a type of insurance category given to a vehicle if it has been written off by an insurance company because it’s uneconomical to repair. However, just because a car has been 'written off', it doesn't necessarily mean you should reject buying it. Don't know your Stonic from your Sportage, or your Venga from your Carens? Then let our handy guide inform you about everything from Korean carmaker Kia. Whatever car you drive, you might have seen AdBlue at a fuel station and wondered what on earth it is, and whether you need it… here’s all you need to know. What's the difference between a DS 3 and DS 5? What's a Crossback? Find out all about cars from DS Automobiles in our handy guide. We explain the most common systems for linking your smartphone to your car. Isofix is an international standard for fixing child car seats in place using a pair of metal mounts attached directly to the car’s chassis. How does it work? Horsepower and torque are two terms that you’ll see discussed a lot in our car reviews, but you may be wondering what they are. They’re terms you’ll see bandied about a lot when looking at the specification of a car, but what are they? Quite simply, a wireless phone charger is a way of charging your smartphone in the car, wirelessly.